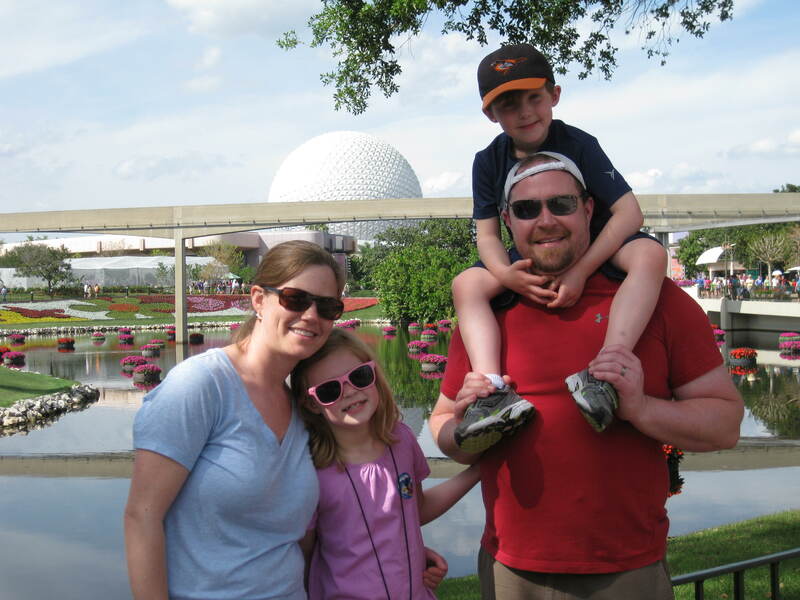 One mom's attempt at finding good in every day of this chaotic world. Back in February, I got inspired on a cold snowy day (of which we had a lot this winter!) 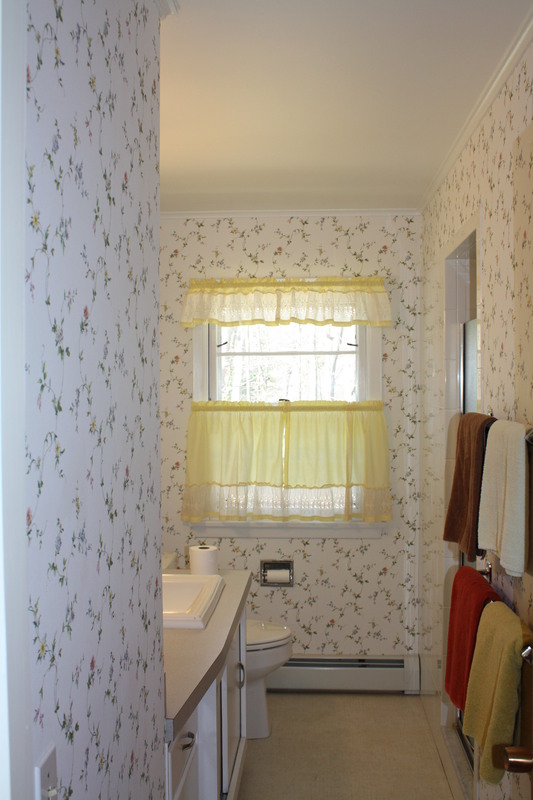 I looked at the flowery wallpaper in our bathroom and thought, “This is a tiny room. 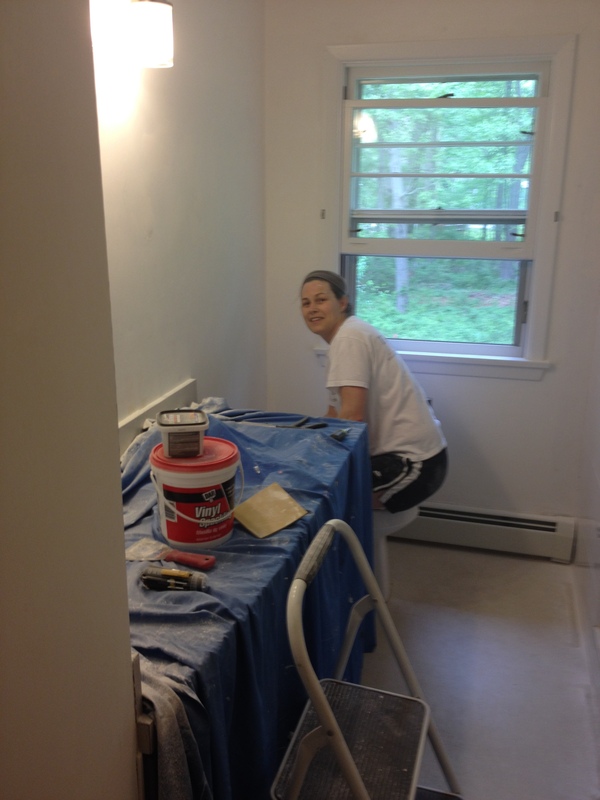 I can knock this out in a weekend if I pushed through.” So I started tearing wallpaper down. I got 2 walls done, and it was so refreshing. The walls still had plenty of residue on them, but they were white, and that felt good. Then life happened (as it usually does.) The reality of a winter without much real estate business hit. 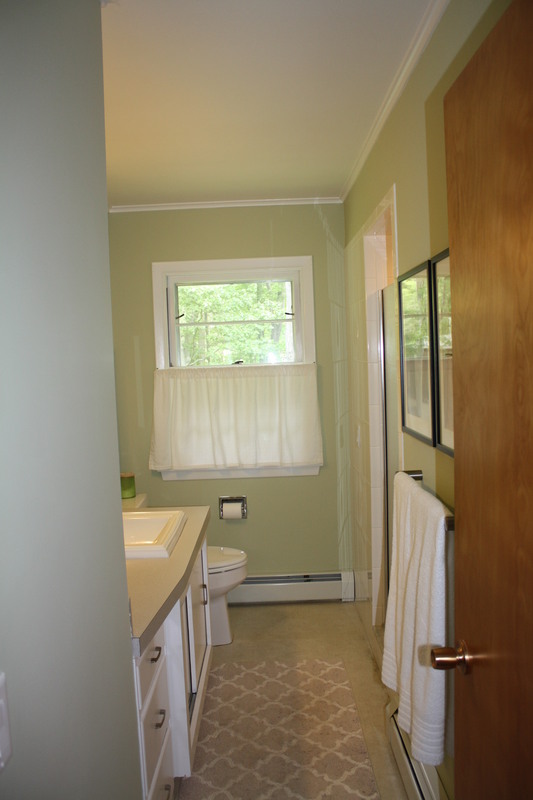 And since our bathroom update was going to require more than just paint (new mirror, new towel bars, potentially new floor), we had to put it off. 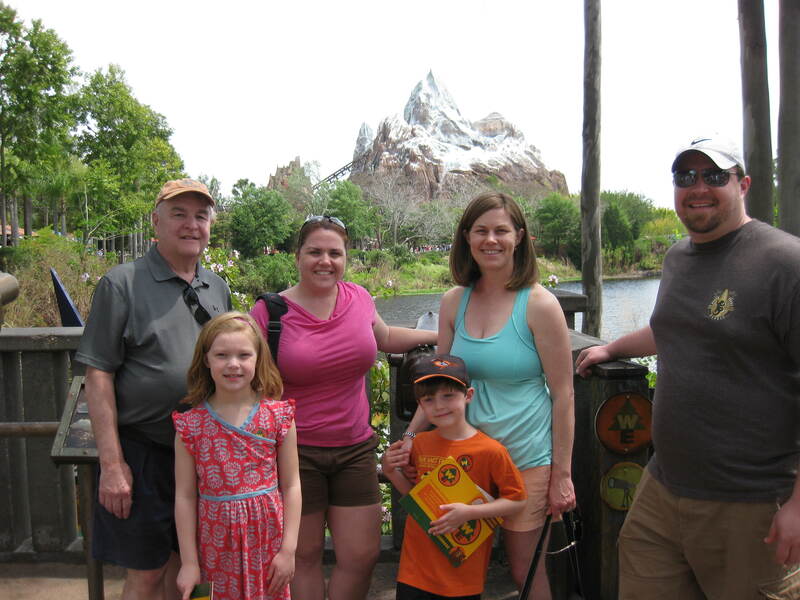 My dream of getting the bathroom done before our trip to Disney didn’t get realized. But once May came and before our weekends were taken over by yard work, I knew I had to put the pedal to the metal (or porcelain as the case may be in the bathroom!) 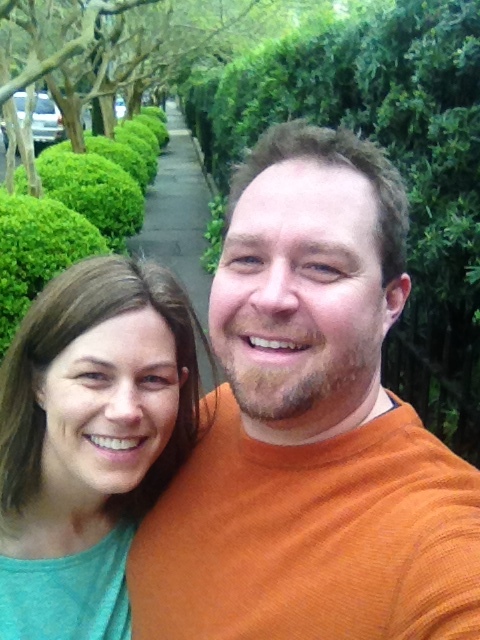 Jeremy and I went back and forth on colors – from bright green to blue to gray and back to green. 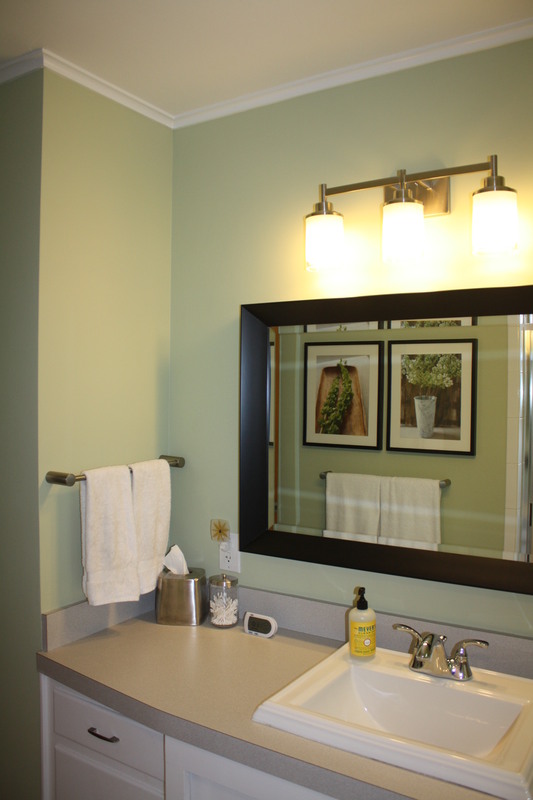 We went back and forth on mirrors – frameless to white-framed to black-framed. So many decisions, but we finally agreed and went for it. It feels so good to have it done, and I smile every time I walk in the bathroom now. A small update, but a big impact! DURING – it wasn’t a pretty job. 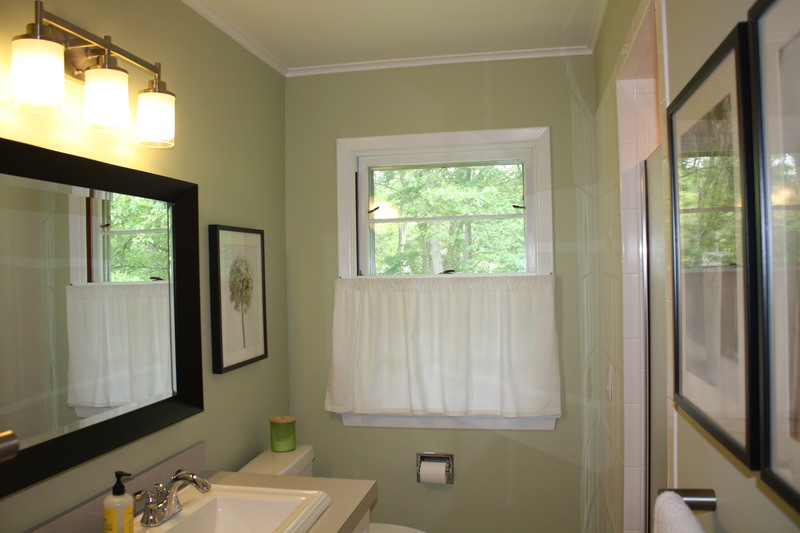 AFTER – light and airy. AFTER – It feels so much cleaner too! AFTER – We’re so happy to finally have this room done. I’m ready for the next wallpaper fight! First stop! New Orleans for a grown-up weekend celebrating the wedding of our dear friends, Andy and Cory. 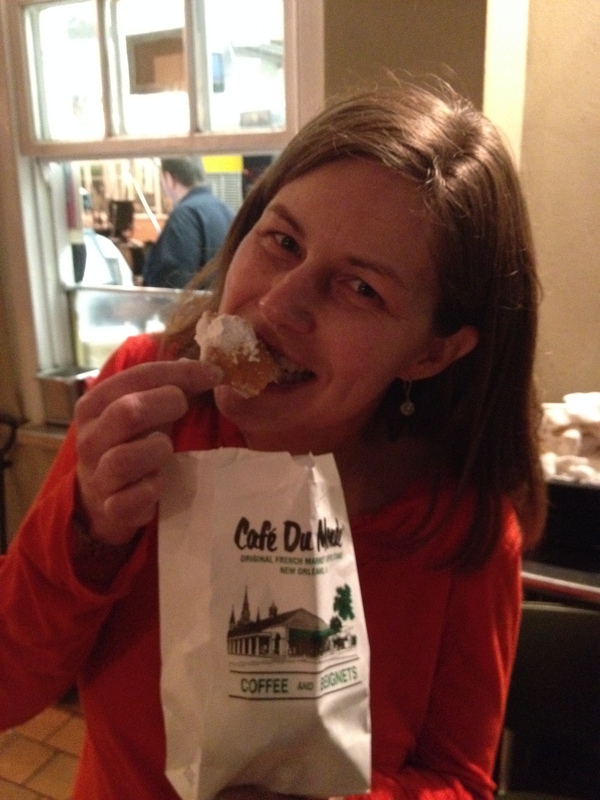 Of course I had to try beignets. I didn’t think it would be at 1:30am, though. That’s me! Wild and crazy! 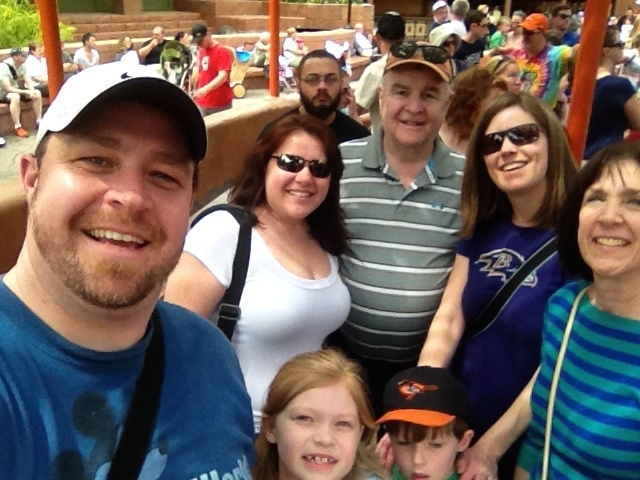 See that awesome couple behind us? That’s Andy and Cory. 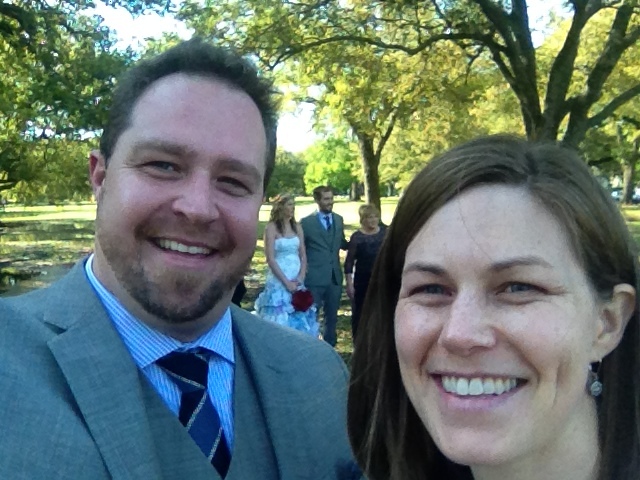 And we were so honored to be part of their wedding. Such a wonderful weekend! Next stop – Orlando! Reunited with the Lake side and kiddos to enjoy a week of sun. 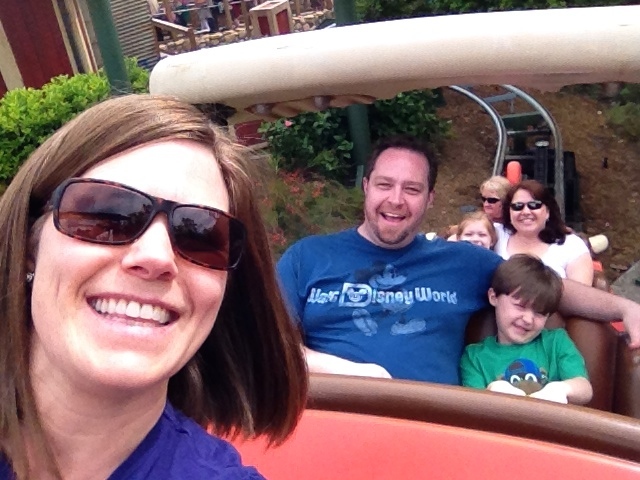 The Barnstormer is always a hit, especially to get our roller-coaster blood flowing. Waiting in lines should be its own ride – we certainly did a lot of it. But lines are worth the wait when the ride is so fun. 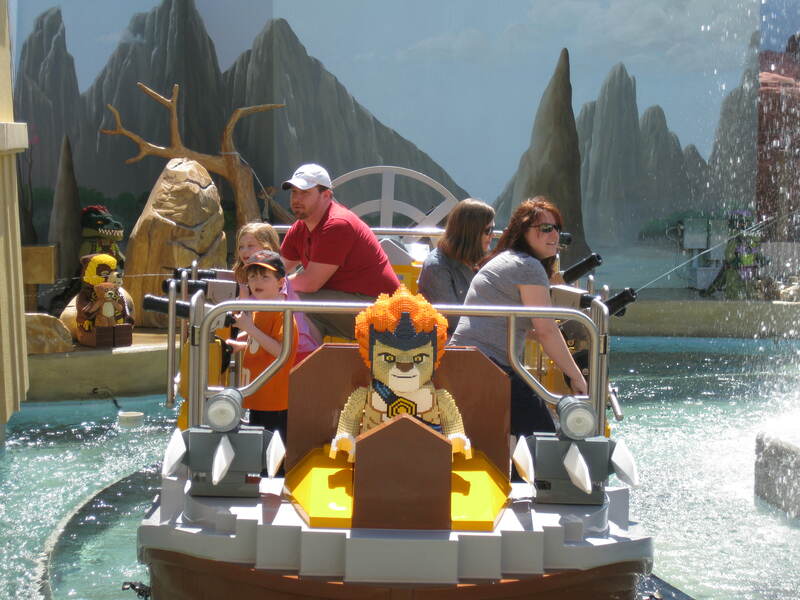 This Chima water ride at Legoland would have been worth an even longer wait! 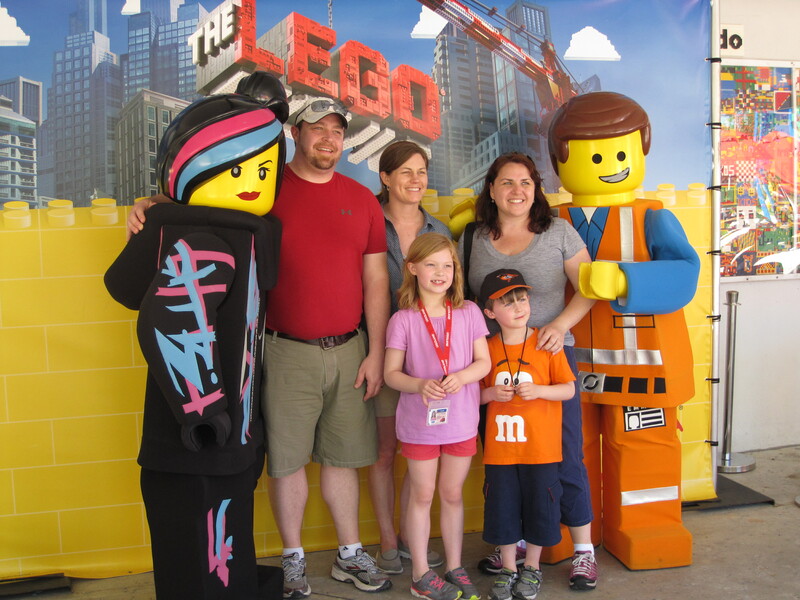 Everything is Awesome at Legoland – a big hit with the whole family! Mason conquered Everest this time but probably won’t try it again for a while. Still proud! 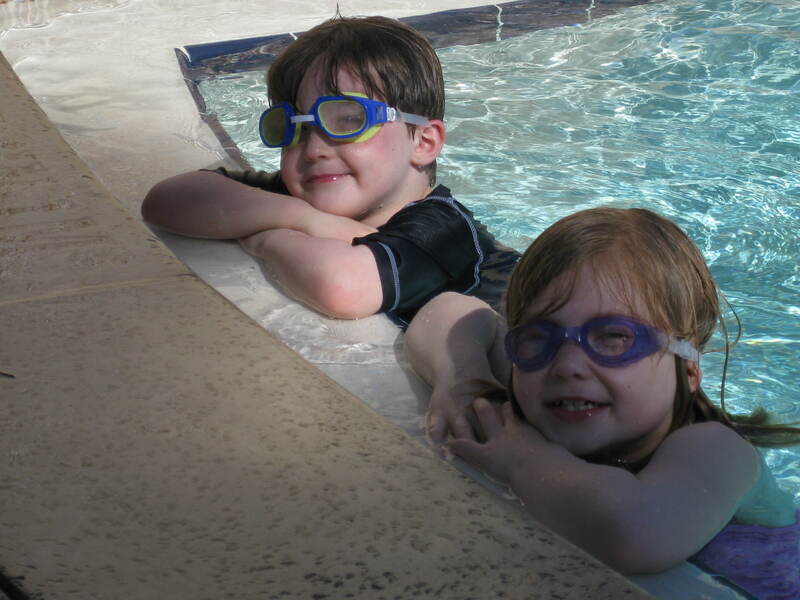 The weather was perfect all week, so the kids enjoyed some pool time as well. A trip to Disney is not complete without sampling all the treats. 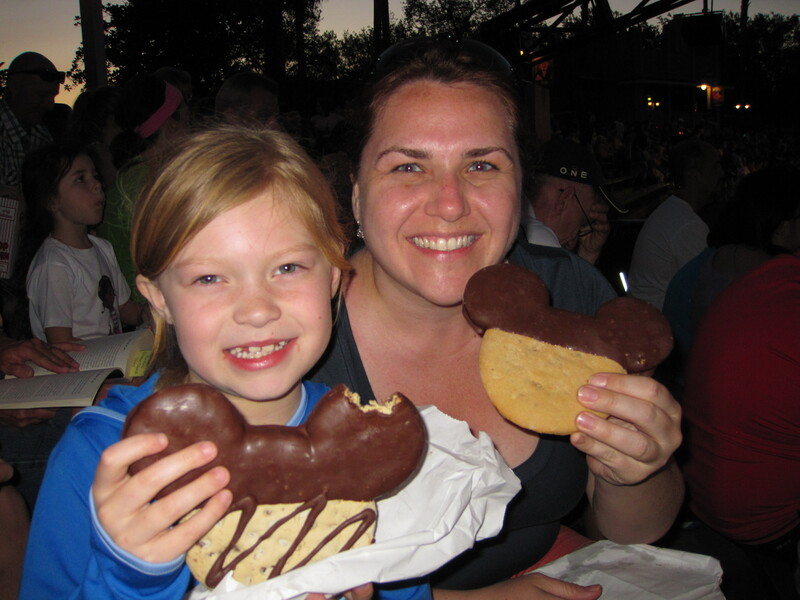 Mickey cookies are always a good choice. 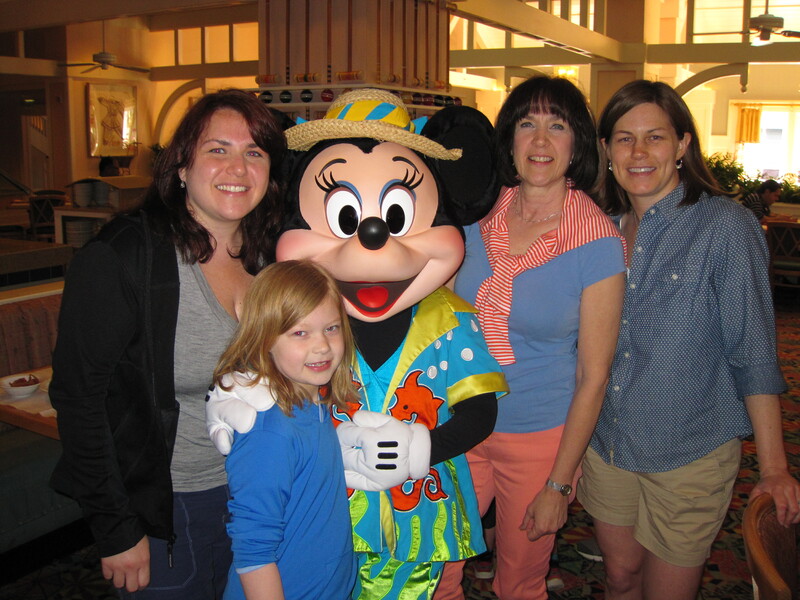 Just hangin’ with Minnie – no big deal! 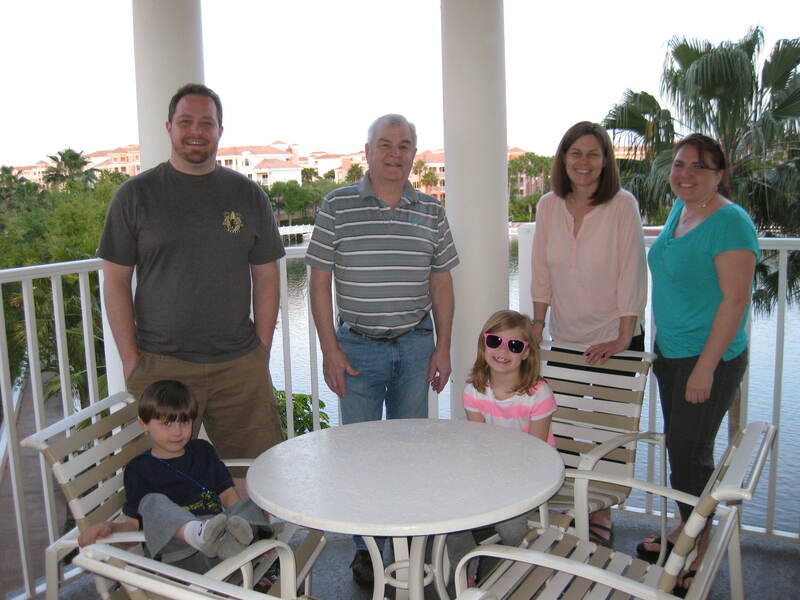 It was a great week, and we’re so thankful to Nana and Papa for sharing this vacation with us. Another year of creating more wonderful memories!